May 25, 2017, 4:17 p.m. 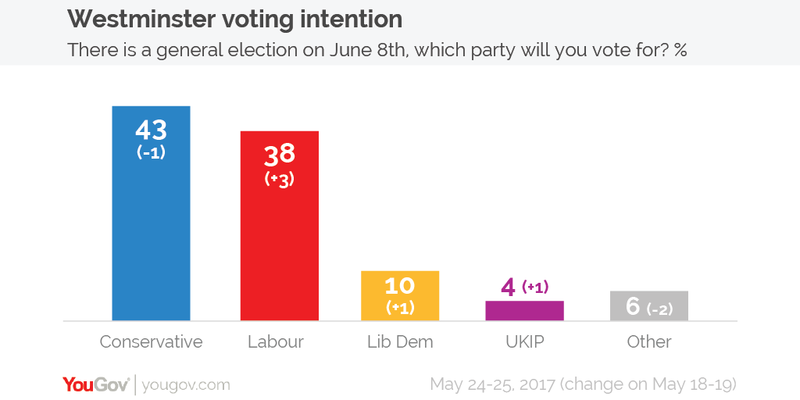 The first thing to bear in mind is that our previous Sunday Times poll was carried out on Thursday and Friday last week. This was just after the Conservatives launched their manifesto but before the big weekend furore about the “dementia tax” and the subsequent change in policy, which took place on Monday. While we don’t have voting intention figures to assess the impact that the controversial manifesto had on voters, we can use another measure that we do have data for. Last Monday – at the height of the social care brouhaha – we asked about the public’s favourability towards the parties and their leaders. We had last asked these questions in April, just after the election was called and when the Tories enjoyed a 23-point lead in voting intention. 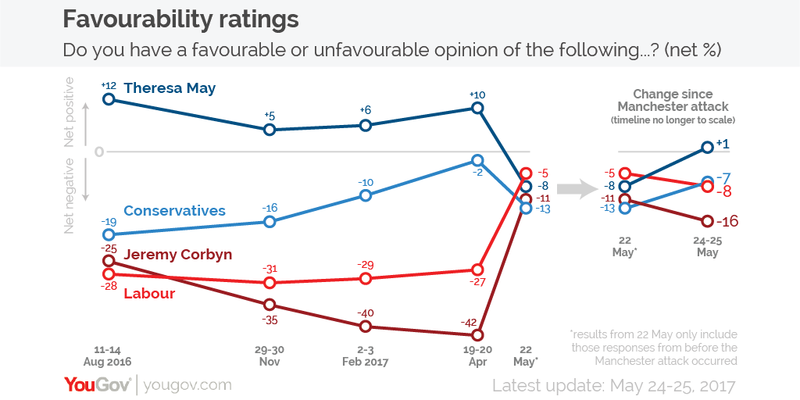 The ratings showed both Theresa May and the Conservative party with much better favourability ratings than Jeremy Corbyn and Labour. But when we re-ran the questions last Monday, though, there had been a steep slump for both Theresa May and the Conservatives and a sharp improvement for both Jeremy Corbyn and Labour. However, then came the act of terror in Manchester. The election campaign was suspended, Theresa May chaired Cobra meetings and the news was filled with reporting of the attack instead of election issues. Alongside the survey for the latest Times poll, we also again re-ran the favourability questions to see if there had been any further movement in the wake of Monday night’s events. The data shows that there has been an improvement in the figures for both Theresa May and the Conservatives, while Labour and Jeremy Corbyn’s numbers have dipped slightly. 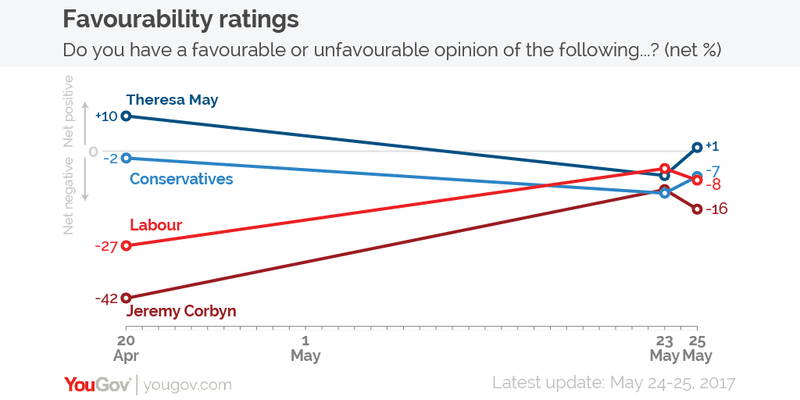 But notably, Theresa May and the Conservatives’ favourability ratings have not returned to their previous, higher levels and Jeremy Corbyn and Labour’s ratings have not fallen to their previous, lower levels. 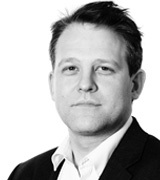 So while our Sunday times results from last week showed a nine point Conservative lead and our newly published poll for the Times shows a five point Tory advantage, it is worth bearing in mind that a lot has happened in the past week, both in the world – with the manifesto and Manchester – and among voters. It has been a highly unusual few days in an election campaign, arguably unlike any other in history. There is no way of guessing what will happen in the two weeks to polling day but we will be able to be more confident about how voting intention settles down over the next few days.